Boeing presented UPS with an awesome gift for 150 aircraft delivered. Strange that it's given during the delivery of N613UP, which is UPS 151st Boeing aircraft. Photo in the left window was taken in mid 1995 (note the old paint scheme) with a production 757 and the first 767 for UPS (which was in flight test) from a Boeing chase plane. For a photo flight it was a bit different as it was done at FL350 (normally photo flights are mid-teens) and started with a head on pass (1,000 ft seperation) followed by the 757 reversing course to join in formation. Very memorable flight. Great image...wish it was not only about -F.
Wish it was a major passenger airline...anyways, great image either way. L/N 1553, RC540 is the last in the variable number block RC531-RC540 reserved for UPS. From L/N 1554 a new variable number block (RC681 and further) has been created for UPS. L/N 1556 is the last of the initial order of 14 aircraft. Is Oman & Bahrain BBJs stored or active somewhere we can’t see ? 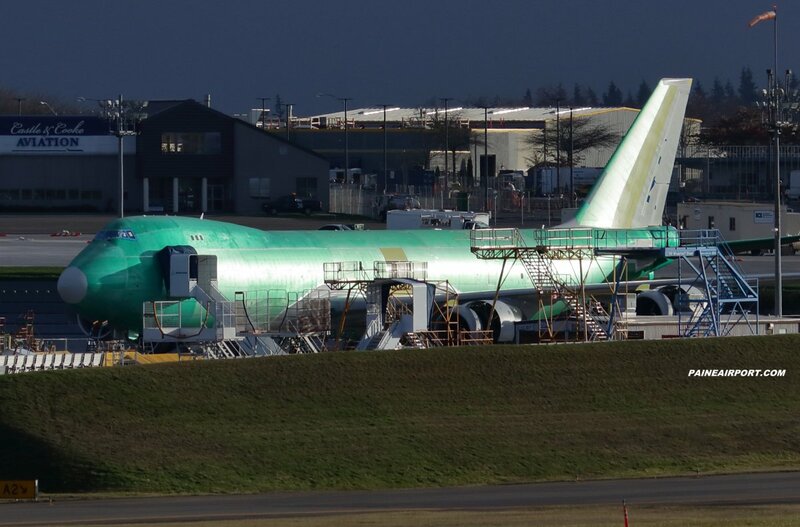 The Omani 747-8/BBJ (L/N 1466, A4O-HMS) seems still to be in VIP completion at L3 platform integration , located at Waco (Texas). AFAIK no 747-8I/BBJ has been ordered or leased by the Bahrain Royal Flight. Currently two 747-400/BBJ aircraft are active (A9C-HAK and A9C-HMK) with the Bahrain Royal Flight. L/N 1551 for ABC emerged from the FAL, just before the Christmas-New Year break, will be delivered in 2019. Please continue in next year's discussion.